Stare into this owl's eyes, and behold the wonders of the universe: the heavenly stars above. No, seriously. He's got stars in his eyes. 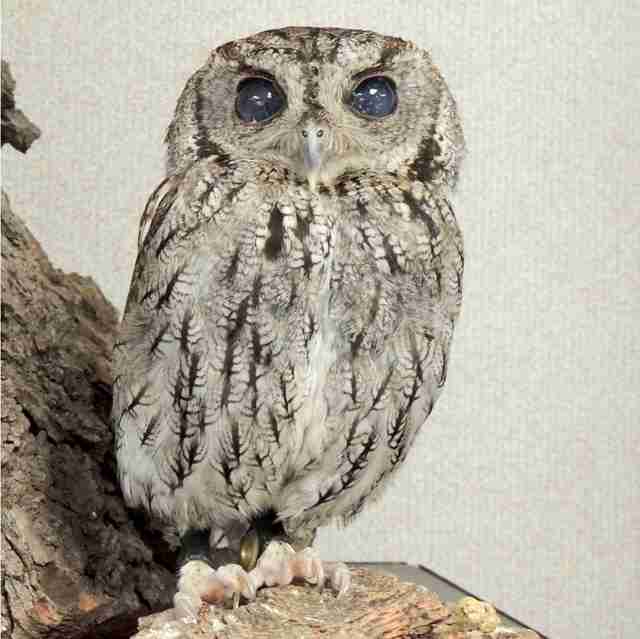 Named after the ancient Greek god of gods, Zeus the screech owl is blind as a bat. But it's his blindness that gives his eyes their special appearance. "That's the damage," David Riherd, executive director of the Wildlife Learning Center (WLC) in Sylmar, California, told The Dodo. The WLC has been Zeus' home since 2012, when he injured himself and landed on somebody's doorstep in southern California. At that time, Zeus was brought into Pacific Wildlife Care, a rehabilitation center in the area. There, they examined Zeus and surmised that he had experienced some sort of traumatic eye injury, rendering him blind as a young owl. As much as they tried to train him to live in the wild again, they deemed him "non-releasable" and gave him a permanent home at the WLC. 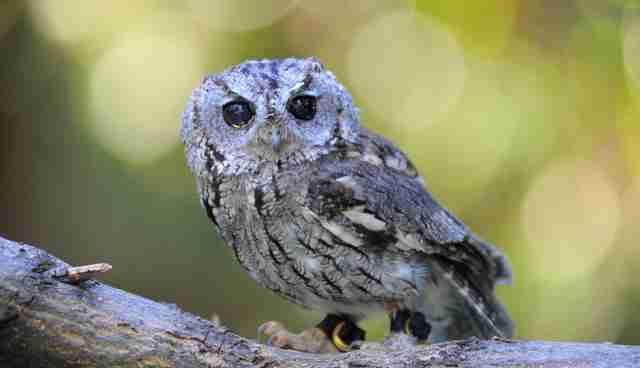 In general, owls have incredible eyesight, allowing them to spot tiny creatures from way up in the sky. And although Zeus has the ability to fly, his blindness makes it a dangerous endeavor. Now, he spends his days perched in a hollowed-out tree stump at the WLC, where staff hand-feed him and use him to educate groups on the importance of wildlife conservation and care. Hopefully, when people look into his eyes, they don't see only the wondrous shapes of a starry night, but they also see a beautiful creature and a life worth saving.